We are offering an excellent range of Wooden Clock for Office to our esteemed customers. 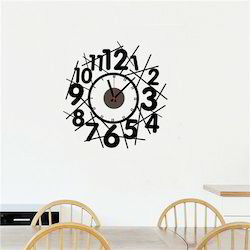 Our clocks are widely demanded by the customers for the decoration of the offices and residences.Our products are available in different colors as per the needs of our clients and at highly competitive prices. We are the leading organizations engaged in trading an excellent quality range of ATOP Wooden Office Clock. 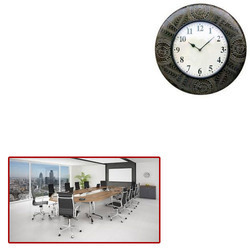 Desktop Office Corporate Clock manufacturers, suppliers and distributors in Delhi Gurgaon and noida. We also supply all over India n metro cities like Mumbai, Bangalore, Chennai, ludhiana , Pune, Faridabad, Kerala. Inspired by our clients we have now started to manufacture and supply a wide array of Pen Holder Clock. Available in different colors, shapes, sizes and finishes, these are of high utility in office and corporate sector and known for their unique features such as smooth texture, classic design and durability. We are instrumental at developing a prominent range of Wooden Office Clock 7051 WOOD that is manufactured using advanced technology and tools. Moreover, our organization possess requisite facilities to cater to the bulk orders of our customers across the globe. Furthermore, we constantly enhance our entire product range to stay at par with the competitors.